Few horsemen can really appreciate what a racehorse has to go through when running over our modern track surfaces (USA). I became intimately aware of this when I had to lead a few of my horses over to the race track paddock and that route demanded that I actually travel over top of the race surface to get to the grand stand where the paddock was located. Many race tracks are configured where one does not have to do this, but a few do. Old Aksarben now torn down in Omaha and Hawthorne Park in Chicago were the two I had to actually transverse in all types of weather with my horses to reach the race paddock. It really hit home to me how deep and rough a track surface can be to travel over when I did this! Granted, we are humans with unique human feet and locomotion but, nevertheless, one can still get an idea how difficult track surfaces can be to simply move in and over. I will never forget this! Few modern trainers will have experienced this first hand. They have the grooms walk their horses over and they never, ever, walk a race track like horsemen of old routinely did. Too bad! Ben Jones would inspect the track before a big race and demand his jock be with him. Can you imagine anything like this occurring in our modern times? What a joke. Accordingly as trainers, we must help our animals do this with the least amount of stress and with as much freedom as possible! It is our duty! "Shoeing- oh LORD!!! He says he hated holding a horse for the shoer but, let me tell you, that his shoers deserved an award in patience. I could not count the times the rasp was yanked from their hands while jack took over. I've seen him whittle their feet in some totally clearly different way and, they would WIN the next time out. " There aren't many like Jack any more! Too bad! It seems that the common racehorse trim is the low heel, long toe configuration which I consider an abomination. Why on earth this fashion ever got started or took hold on the backside is mystifying. I can't think of a much worse way to trim a horse that we want sustained speed and soundness from. I suspect a lot of this is because trainers allow the racetrack plater to do his work without being present. I am also told that these shoers have gotten their way for so many years that it is really hard to tell them how to shoe YOUR horse. What a joke! I have yet to see a race track plater (they don't deserve the name of a farrier) use the three most important instruments needed in shoeing a horse. 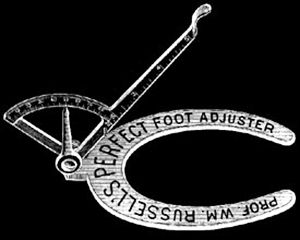 1) toe calipers . . . . . . . . . . . . used to measure toe length from coronary to toe edge. 2) Hoof angle gauge . . . . . . . . . used to measure hoof angle. 3) Level gauge (T-square) . . . . . . used to trim the hoof sides, level. Why they think they are too "good" to need these is a sign of arrogance to the extreme or just simply laziness which may be more the reality. Plus, it may be that many of the racetrack platers have simply graduated from the quarter horse ranks where precision hoof trims really are more of an after-thought for the cow ponies or trail horses. 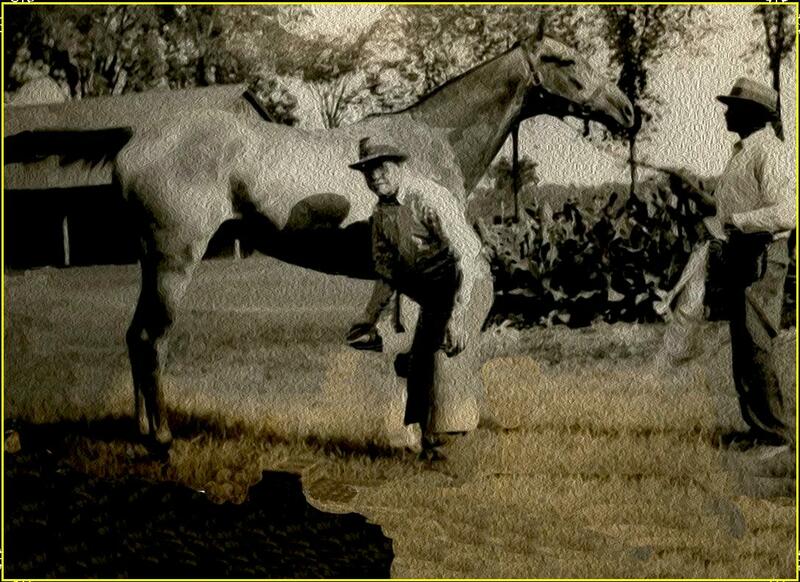 Certainly many of our current Thoroughbred trainers seem to have graduated from the quarter horses as well. Perhaps the same holds true of our platers? At any rate, the racing Thoroughbred suffers and will continue to suffer. These three instruments allows the farrier to have a better way to trim for consistency and provide a point of reference which is in itself a must. There are many argumentive excuses from these shoeing professionals why these tools are not necessary or may even be bad. I say hog wash! Sure, if one is shoeing the every-day pleasure horse then using these three tools are not necessary. I grant you that! Yes, a good eye is all that is needed for the common horse, but I contend that a horse that is conditioned to compete at speed at the limit of its physical capabilities is a totally different proposition! Racehorses are not in the class of other horses. 1) A misshapen hoof may put limitations on the use of these tools. 3) Individual conformation may dictate different angles and should be the ultimate guide. 4) These tools are not accurate and it all depends on placement which can vary. 5) "I have shod thousands of horses and my eye is a well trained instrument connected to a knowledgeable brain." 1) Indeed, the hoof of the horse is a forever changing structure and it is very common to see a hoof or hooves misshapen for a variety of reasons. A misshapen hoof can make it impossible to apply a hoof gauge and read it accurately. This is particularly true of a horse that has been taken out of the pasture with years of neglect. This is really rather rare on the racetrack where the horses have been in training for years and are really fairly well looked after. You are very unlikely to see a misshapen hoof to such an extent that it will seriously affect the placement of these tools. However, in the horse business there are exceptions to all things. One may have to use one's eyes and best judgment to trim a horse. In that case, do it! I am talking in generalities on this page. Generally speaking, these three tools should be used all the time! Are there exceptions? Sure. 2) Many pro-tool advocates are fond of saying that one would never expect a master carpenter to build a house without tape measure, square and all of the other measuring tools, so why should a farrier eyeball his work only? The anti-tool people say a horse is not a stationary house and precision is not needed. True, a horse is not a house, but nothing remains the same in life, even a well built house will shift with time and be at the mercy of all types of environmental forces not too different from a horse. Does this mean if a carpenter builds on to his old house, he would want to continue building on to that house in an unlevel fashion by simply eyeballing it to match the old house? I don't think so! Using measuring devices for each allows the builder to have a starting point, a reference point. 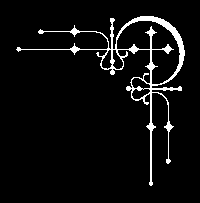 Without it one is at the mercy to guessing. Yes, the hooves will change with growth and environmental stress, but so what? At the end of the shoeing cycle, we renew the measurements that we used in the beginning or change them if that is so warranted as well. We will know how much to change measurements if we have reference points to work with. Tools allow us to measure these points and we write them down in detailed records as every trainer should. 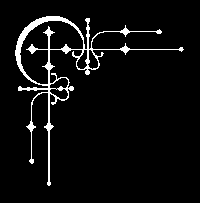 Without a reference point, we are simply guessing. 3) Another segment of the anti-tool crowd believes that conformation of the horse should be the true gauge to use and not a tool using set angle numbers. They say it is the seasoned eye of the professional that is the real gauge on how best to trim the hoof to match the conformation. Damn the tools! This all sounds good in theory and certainly there is some truth to this, but generally speaking taking into consideration the conformation of a horse does not somehow discount also the simultaneous use of tools. I am not sure why they think one precludes the use of the other? Analyze the horse's conformation, shoot for the specs you think is best, then use your tools to define this as a reference point for future work. Perhaps there are unique horses out there that require different angles, toe lengths and lateral/ medial levelness in order to obtain a balanced gait? I don't disagree, but, AGAIN, I am only discussing this topic in generalities and, generally speaking, this type of horse is more of a rarity than not. Most horses will require a hoof trimmed identically to its mate in order to sustain a balanced gait. It is just a fact of life. If you happen to run across the freak horse that does not, then shoe him differently, but still use the tools! 4) I agree, tools are not always accurate from one manufacturing run to the other, nor are they always placed on the hoof at identical positions which may affect over-all measurements. One thing is for certain, each individual tool will measure the same way and that in itself is good enough and valuable. After all, we just need a creation of a reference point. It creates a starting point in order to expand on in future shoeings. As far as the farrier placing the instrument in a different location and screwing up the records. Well, yes, that can happen to, but it is up to the professional to have as consistent of technique as possible to avoid such pitfalls. 5) Finally, the grand-daddy excuse of them all that you will most likely hear! "I have shod thousands of horses for 20+ years that my eyes are trained to observe accurate hoof angles & lengths to the degree and eighth of an inch!" Yeah, sure. With this type of arrogance, you will also run into a person that will want to tell you exactly how to shoe your horse and then some. These types of professionals you want to dispatch to the more gullible for someone that will listen to you. If this logic held any water at all, then most any seasoned craftsman in any field would never use any tools of any kind. Sure, some seem to and they pull it off magnificently. 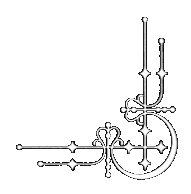 Most of us mortals rely on measuring tools particularly in crafting a precision structure. Trimming the correctly proportioned hoof is no different than anything else in this regard. Again, coming back for the need for a reference point for record keeping, if for no other purpose, a need exists for using tools! This is the one! If your shoer barks out as he is rasping and cutting that this hoof is 53°, level with a 3-3/8" toe, then you better take your instruments and double check before he tacks on a shoe. Tell him you are recording the numbers for future reference. I should also comment that the human eye can easily be deceived by a wide variety of environmental and mental processes. The con man would have little luck if this were not true. Also, I might add that the older and more wiser the shoer, the likelihood that his eyes are becoming less and less acute is also a fact of life. He may have shod thousands of horses, but his eyes are starting to wear out. Ask him to read you some fine print without glasses and see how accurate he may be on that count! 1) When your shoer comes to replace worn out plates, he may routinely take his nippers and trim off a month's worth of hoof growth all the way around from one heel to the next. By doing this, he does not change the angle and if your horse is like most racehorses, your animal will have experienced minimum to negative heel growth over the previous weeks. Thus, you will get a lower and lower angle by the fact that the shoer is taking off an even amount of growth all the way around the hoof each a month. I shod my own during my training career and I very seldom needed to take hoof off evenly from one heel to the next. I almost always only needed to take off the toe portion while leaving the heel completely untouched. By doing this, I was able to maintain a nice natural angle from month to month. 2) There seems to be a mistaken believe among racetrack platers that a long toe, low angle is conducive to speed. They think since such a configuration will cause a horse to lengthen and lower his stride that it will be conducive to winning races. NOT SO and quite the opposite! A long, lower stride is not necessarily a good thing for many racehorses. A long toe will also put more strain on the tendons and ligaments by the fact that the horse needs more muscle energy to overcome the leverage of breaking a long toe over and off into the next stride. Multiply this by the many strides required in a race at speed and you get a accumulative affect that is really hard to fathom and no wonder racehorses break-down all the time. I might also add, I was never bothered by run-downs when I trimmed my hooves with a natural angle. I suspect a low heel, long toe trim makes Thoroughbreds much more likely to run-down! I will amend this topic right off the bat by saying every racehorse is an individual with no two alike and accordingly, no two should necessarily be shod alike. Each stable should have a shoe-card for each of its animals and that card should be out and in the presence of the plater when time comes for a new shoeing. There are exceptions to all things and all rules! As a thoughtful trainer, you will have to know when to break those rules. I am merely setting down generalities on this page. Generally speaking, a racehorse needs to be trimmed and shod as simply & naturally as possible. He should go in as short of a toe length as possible and at natural angles complimenting his unique conformation. A racehorse's hooves should always land level when striking the track when at speed. Notice that I say "when at speed"! It is quite possible to have a horse that stands unlevel on the shoeing floor, yet when at the racing gait, land level. One wants the horse to land level when racing as that is when injuries occur and the dangerous stresses are encountered. However saying this, it is absolutely paramount to know that your racehorse is landing the way he is because of his unique conformation and gait and NOT because of some unsoundness issue! Make a mistake on this vital point and you just compound problems and increase a possible break-down! In theory, the shorter the toe the better! It was commonly believed for eons that "an ounce on the hoof was worth a pound in the saddle"! A short toe allows your horse to break-over quickly and at the same time carry the least amount of weight. It doesn't do much good to have your horse shod in light weight plates and then have unnecessarily heavy hoof growth on that leg. Horny hoof tissue is heavy! In order for a racehorse to win races, it takes a certain amount of metabolic energy and the more efficient that horse is at conserving energy, the faster he will be. Trimming the hoof for the easiest break-over is energy conserving, can prevent many forms of interference, and exerts the least amount of stress on the flexor tendons and suspensory. There may be exceptions where a horse will run with a freer, more balanced gait with a bit more toe, but I have found such cases rare. It will be up to the trainer to determine the best length of toe, but the shorter is usually better. When shoeing my own, I have not been satisfied until I see a little blood "beaded" on the bottom of the hoof after rasping to know, I have gone as short as I can. I never had problems racing that short and my horses never broke down. Larry Wellman (Dec 19, 1999) writes: "The effect of weight at other locations other then the center of gravity can have a significant impact on oxygen consumption levels. 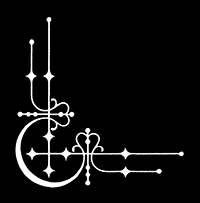 Myers (1985) found that the cost of adding a given mass to the limbs is significantly greater than adding it to the center of mass and that this effect becomes more pronounced as the limb loads are moved distally (towards the foot). Miller (1987) showed a 0.8% increase in oxygen consumption for ankle weights of 100 grams on human runners. A 600-gram weight at the center of gravity would result in the same increase of oxygen consumption. Relative to horse racing, any increase in extra weight carried along the leg and at the hoof could impact on a horse's performance. For example on a muddy or sloppy day a large horse (large hoof) could end up carrying extra dirt in it's hoof relative to a smaller horse (smaller hoof). Also the come from behind type of runner could have additional weight along the legs from mud being thrown back from horse's in front. This extra weight could be enough to cost a win. " Interesting stuff, eh? Just imagine how many grams would be lost if the four hooves were trimmed as short as possible and the ground bearing cup which can naturally catch & carry dirt around the track was very shallow resulting in less dirt weight being loaded during a race? Plus, while I am on the subject, it royally pisses me off that racehorse trainers no longer seem to bother with braiding or doing up "mud tails" in a race! The tail of the racehorse can really catch literally pounds of mud during a race, if left unbraided! 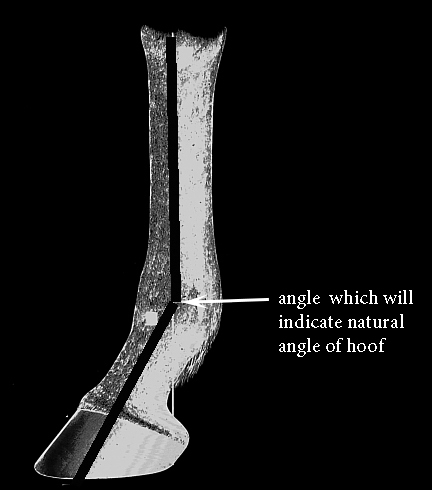 The length of toe is measured by taking calipers and placing one point at the hairline of the coronary band (top center of hoof) where the hoofy tissue begins and the other point at the edge of the hoof. One then places the calipers on a ruler for length of toe. Of course, one can lose an 1/8" by varying where the point is placed at the coronary. One needs to have a consistent position and stick to it for proper measurement over time. I like to place the point right where the horn turns to skin under the hairs of the coronary band. Some may want to put it on solid defined hoof. You decide and stick with it. 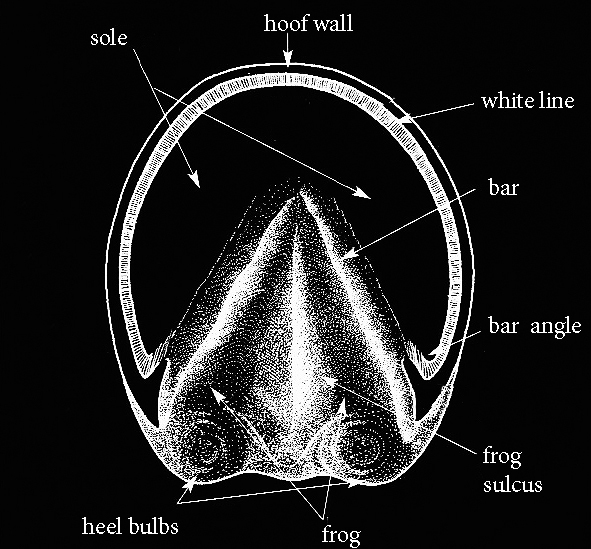 The angle of the hoof is a function of toe length and heel height. 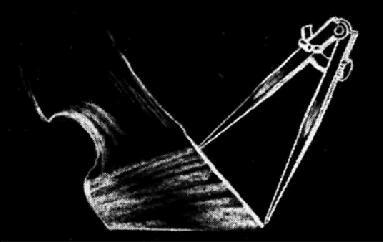 Manipulate only one or both and you will change the angle. Like the toe length, hoof angle affects break-over of your horse with the higher angles stimulating a shorter higher stride with a quicker break-over versus the lower angles producing a slower break-over with a longer, lower stride. There may be a bit more concussion experienced at the higher angles. A nice median angle is always desirable. Natural angles of the horse depends mostly on the conformation of the legs and it is this conformation that should be the guiding indication on where best to set a reasonable angle in degrees during the first shoeings of your youngster. Generally speaking, this can vary in horses from 45-52° in front and 50-56° behind. One will generally see about a 5° difference from front to rear angles. There are exceptions! 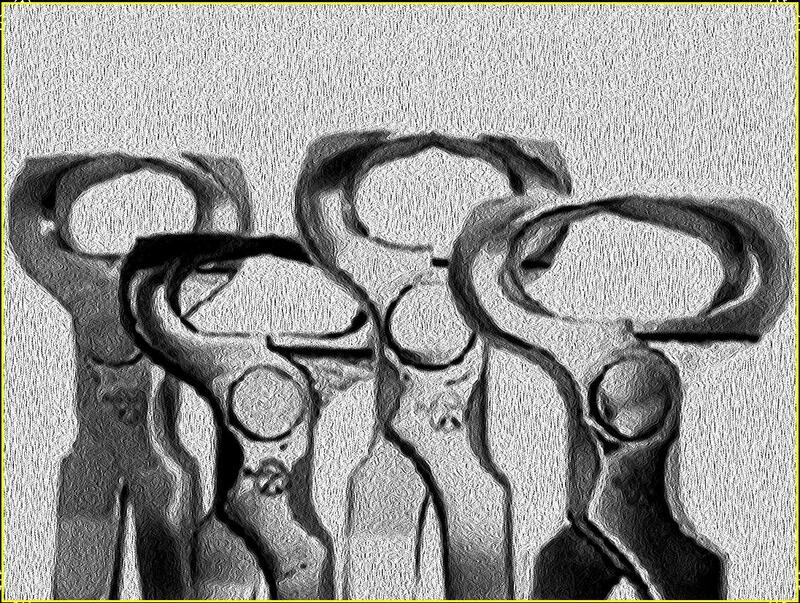 You may run across an individual that stands extremely straight in front and in that case, you may have to trim for an angle even higher than the higher limits I previously mentioned. I have seen straight legged horses trimmed in front up to 56° and in my opinion this was the only reason they stayed sound! After the farrier trims your youngster properly to compliment his conformation, you will then begin to fine-tune this guess with the help of the before mentioned tools, primarily the hoof level. With time and work and observation, you may feel you will need to rise or lower this original angle guess depending on how he moves in his breezes, whether he interferes at gait, and his soundness. Tools are invaluable in establishing a reference point for future corrections. As I mentioned earlier, placement of the hoof gauge can affect readings as well as a misshapen hoof. A dished hoof, either dishing in or out will be difficult to apply a hoof angle gauge to. You will need to try to rasp the hoof as normally as possible removing as much of the distortion as is reasonable and go from there. 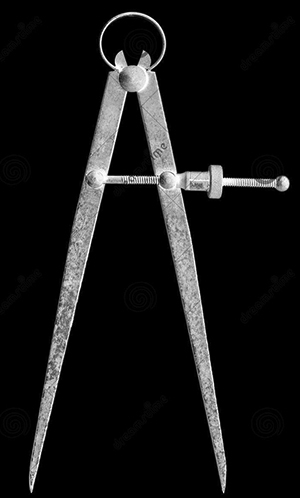 If rasping is enough to normalize the hoof, then maybe a angle gauge can be used. If not, you will have to eye-ball until the time comes that the hoof is of more normal anatomy allowing the use of the angle gauge. I might also add when corrective trimming for angle, NEVER make more than a 2-3° change per shoeing session. One can easily make a horse sore making larger changes! We don't need that! Lastly, I would like to discuss trimming a racehorse level which is often very neglected by even the best of shoers and trainers. So exactly what is met by "level"? When standing it means that the hoof is symmetrical and supporting all of the horse's weight with an even (level) distribution over its length and width without putting strain on any one structure. While in motion and upon ground contact, it means that again the hoof is supporting the weight of the horse in an even distribution of weight on it's varied surfaces. The weight of the horse is not falling unevenly when it makes ground contact on the hoof apparatus. This even distribution of weight is of key importance when the racehorse lands each hoof at speed, not so much that he stands level on a shoeing floor. In the ideal world, a level standing horse will also land level when at speed and much of the time this rule will hold true. However, every horse is different and some like to defy the rules and put gray in their trainer's hair. If you are dealing with a sound horse, and I emphasize A SOUND HORSE, then you need to pay very close attention to how he is wearing his racing plates. Just don't throw them to one side in a pile. Pick them up and study each one intently for signs of him wearing one side more than another or one region more than the whole. This will offer very valuable clues on how your horse is gaited, how best to trim him in the future or possibly any unsoundness that is starting to crop up. Reading old plates is a tricky code that you will continually have to monitor as a trainer and try to make sense out of and hope to heaven you are making the right decisions based on your interpretation of the wear marks. If you are like most Thoroughbred trainers and aren't even in the barn when the plater comes by, good luck to you, because you are going to need it! Your horse will be on its own and up to the mercy of a plater that just wants his money and a groom that doesn't know any better. To make an analogy here that may make this more understandable, we all know how uncomfortable a new pair of leather shoes can be. They are not very forgiving to our style of gait until they are "worn-in". They can become quite a painful contraption until this occurs. We all have experienced it. After we have worn our shoes for months, look on the bottom and you will easily see how the heel and toe are worn down. One side or the other of the sole may be more worn as well. This is part of the wearing-in process that makes our gait much freer and our shoes much more comfortable to walk in. A horse is not much different. He will wear his shoes as well and we need to know what is the most comfortable for him presuming that this wear is not being caused by some unsoundness. If it is a result of unsoundness, we need to find out what is the problem and remedy it! If his unique shoe wear is a product of his unhindered gait, we need to accommodate him and rasp his hoof to match the wear on his shoe. You will have a sounder better horse doing this. We use the Level gauge, sometimes known as a T-square to help in this regard of defining what is level as a reference point to which we can always rasp just enough on the hoof's surface to match where that horse is wearing a bit more on the actual shoe--if need be. Most of the time, simply trimming the hoof level will be all that is needed. Below is an example of a worn front plate of a sound racehorse. You will notice from the photograph that there is slightly more wear on the right far branch than the left. The swedge is slightly more worn. 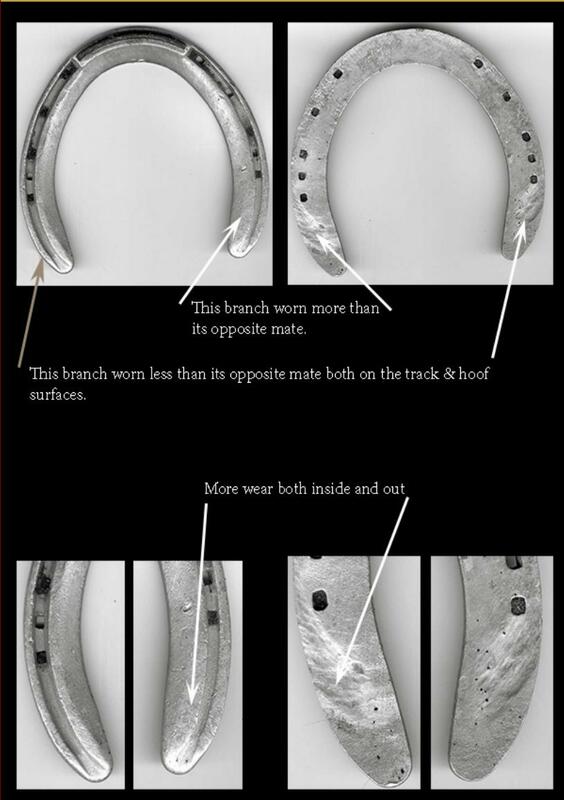 Also you will notice on the photograph that shows the hoof bearing surface of the same plate that the heel of the horse has worn that branch much more than the opposite branch. This all points to the proportion that the horse is not landing evenly while at speed, putting more weight on that portion of his hoof. 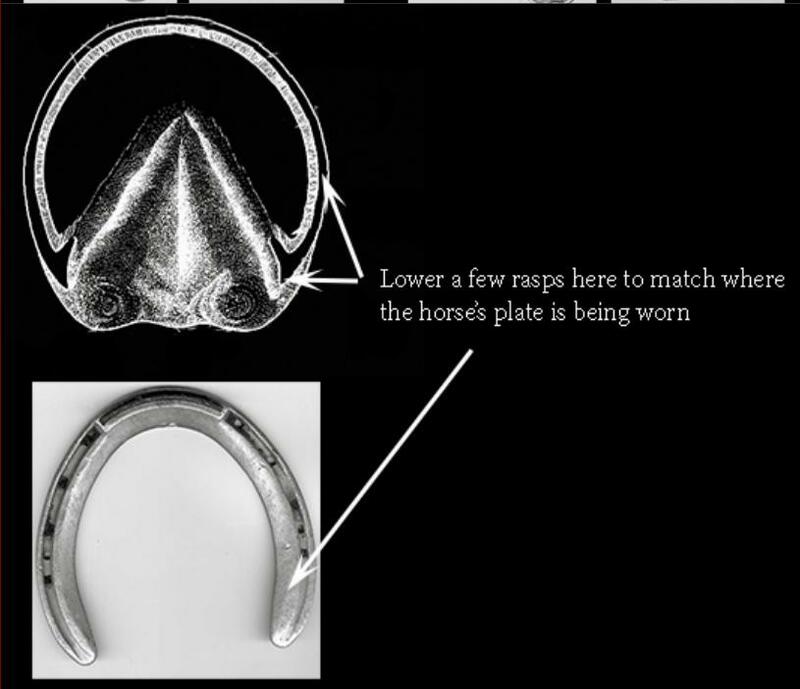 Accordingly, the hoof should be lowered a hair where the plate is worn until the horse evenly wears his plate. Lastly, not to be discounted as unimportant just because they are out of sight are the structures found on the underside of the hoof. They are extremely important to the soundness and speed of the racehorse. Far too often the plater will take a knife and pare out far too much of the frog and bars. The least material cut out the better in a normal hoof! Only clean up some of the ragged material but essentially leave the frog and bars alone! In a few cases, it might be advisable to do more trimming. Some low heeled horses may have their bars spread over to the adjoining sole at the bar angle and become a bit tender in that area. Sometimes the farrier needs to define the bar with his knife and relief pressure of the imbedded sole. This condition can be mistaken for corns. Otherwise, it is best to leave the frog and bars well alone.